Quick and easy made up as I went! Defrost white fish and salmon and bake in oven – then cool off and back to fridge. Put cans of soup and tomatoes in a large heavy pot and heat up. In another pan put your chopped onions, celery and carrots in some olive oil and gently cook it until onions are cooked then add to the soup with some chilli flakes. When the soup in pot is hot, put the calamari rings in; turn down the heat and simmer for a bit (don’t forget to stir the soup). 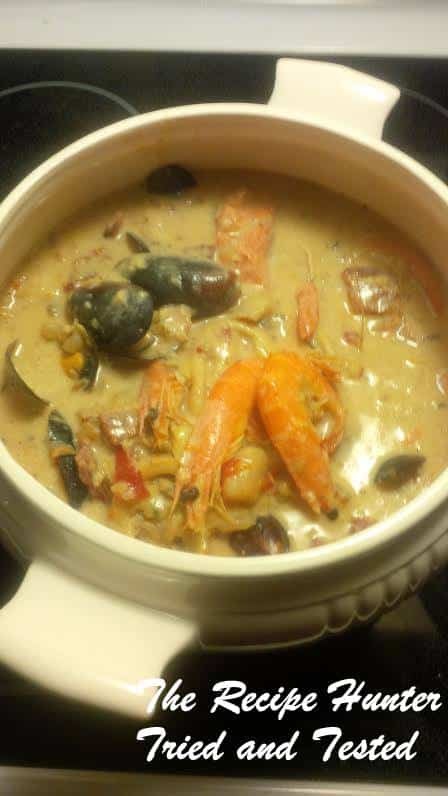 An hour before your guests come, take pot out of fridge and slowly re-heat. 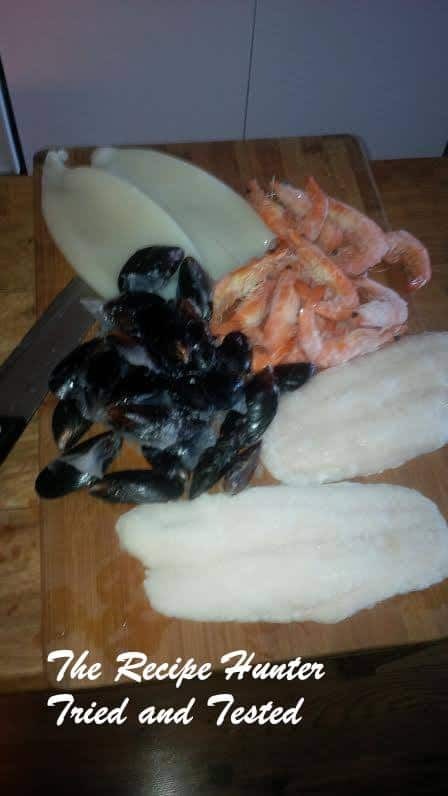 Once soup is hot, add fish (cut into bite size pieces) mussels, clams and prawns. Finish off with some black pepper.